We’ve only had our initial service appointment. Ron was professional and informative. It was a very rainy day so we were only able to receive half of the initial treatment. ie inside only. Looking forward to the next visit in 30 days. The ants have been a real challenge at our home this spring and Evan has taken his job of eliminating the buggers seriously. Yes it has taken more than one visit to figure out what works . But I think we are on the correct path of keeping the ants out of our house. I appreciating the no charge for the extra visits needed to have Evan come and help us out..Again thank you for your service and concern for our bug free home....Jodi & Joseph Myers Hanover Pa.
Their representative was very professional and completed the job in record time. The whole process was easy from start to finish! I appreciate not being hassled or pressured into purchasing anything. The inspector, Will, gave us the list of what would be best to do and provided options as well - without any pressure. After answering my questions, I knew Home Paramount was a good fit. The crew that came out to do the exclusion, pest control, and insulation was also very pleasant! They kept me informed throughout their work day and cleaned-up well when done! We are glad to new customers! you were very thorough & very pleasant....ur customer service is great! John is very personable and friendly answers all our questions and does a great job with our house. Much less worry about bugs this season thanks to Home Paramount !! Any time we have a problem, we call you and within a day or two, you are there,taking care of the problem. We really appreciate the prompt service. 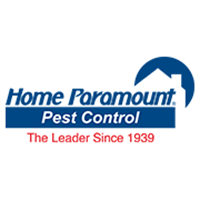 We are pleased with the service we had with Home Paramount. Everyone was pleasant to talk with and the service was great. We have not seen a bug since they did heat treatment and sprayed our house. If we do see a bug we have 30 days for them to return for another spray. Very pleased with this company and how they worked with us. Very thorough and on time. They return if necessary to reapply the treatment. No additional cost. Very pleased with your service - prompt and the guy was very pleasant! Would appreciate a call a week before to confirm service date. Great service. Evan is a great service rep for Home paramount. Very satisfied!!! Very happy with our service. It has taken care of our wasp problem and the bugs in the inside of our home. John is very professional. Yes, It is fine. Janet. Great so far! Love the Premium Green service offered. Would like notice of date of service earlier than a few days before it is to be done,e.g., 1 week. We were very happy with our service. Everything has been great. Your tech men are nice and know what they're doing. Service is great and bug problems are resolved fast. Keep up the fine job you people are doing! We've always been very happy with the service from Home Paramount! They've been serving our home for 24 years!!! Technician was very knowledgeable and efficient. Good, friendly service. John is great! Darryl did his usual personable, friendly professional job! I tried to leave feedback on the earlier message but it wouldn't go through. Thanks for the good service--and I'll feel free to call if we have any problems. Evan did a wonderful job. He is very knowledgeable, professional and friendly. I appreciate your commitment to my elderly mother's ongoing, difficult bedbug eradication project. We look forward to her being FREE of them! You sent someone who couldn’t go down to the crawl space to check for mice. I called and your are sending someone who can do the job. It was noted on the bill last time that a slim person needed to be sent each time. I was happy to see you are correcting the problem by sending the same person each time. Thanks. Ruth C.
Excellent service, friendly and thorough tech. Darryl called twice to go over service. Much appreciated. John is great to work with. no issues. My wife would like more flexibility in scheduling appointments for spraying. (She likes to move food items before spraying and some appointment days do not suit her well.) Perhaps, more time choices, rather than a day and time when they are coming.